Thinking about becoming Ooma customer? I currently have Windstream DSL with a home phone with free incoming calls and charged outgoing calls. Phone needed for the DSL service (phone charge $5.00 per month). I also have a VOIP phone service with phonepower for all of my outgoing calls and most of my incoming calls too. Each phone has a phone number assigned to it. DSL phone=local number, VOIP phone=regional number. I have my VOIP adapter between my DSL modem and wireless router. I have a base phone with two satellite phones connected via home phone wiring. My question is, I would like to keep my regional VOIP phone number (ported) and I would have to have the local phone number because it is assigned by Windstream (DSL) to my local (minimum) phone, is that possible? I would be dropping the VOIP phone service to save money. I will be purchasing the hub and scout. Is this all possible with my present equipment? Also what is the difference in service between the Hub and Telo? So any help with my questions would be appreciated!!! Re: Thinking about becoming Ooma customer? 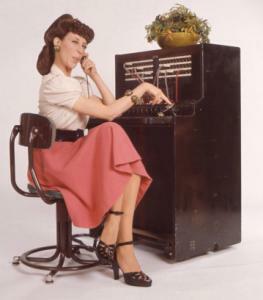 When you say DSL phone, do you mean you have regular landline service with DSL riding THAT line? Also, I assume you would want to replace the current VOIP adapter with the Ooma Hub or Telo between the modem and wireless router, correct? The main difference between the HUB/Scout and the Telo, is the Hub/Scout model connects to each other by phone wiring. But it could cause a problem to have DSL riding on that same wiring. THAT is where the Telo shines - The Telo has no Scout, just Dect 6 handsets (sold separately) which connect from the handset to the Telo wirelessly, so with DSL, that might be a better situation for you. hpepper wrote: the Hub/Scout model connects to each other by phone wiring. But it could cause a problem to have DSL riding on that same wiring. I recently purchased the Ooma hub/Scout, and I have DSL where the DSL data signal is on the same wiring as my phone wiring, but everything still seems to be working smoothly for me, despite this. sybarite wrote: Yes, I have a regular landline with DSL riding on that line. I probably would not need to use the scout, from what I have read. Can you hook up the hub to the wiring in your home, so that all phones in the house use the Ooma hub for phone service. My understanding is that no, the only phones that will work are those attached to the ooma hub or scout. The good thing about having your house already wired for landline though, is that you can plug your scout(s) into any landline phone port(s) in the house, and then you can attach a phone to that scout. Also, keep in mind that when you buy the ooma hub, it comes with one scout already included. In my case, I needed 4 handsets throughout my house, so for $67 I bought a panasonic phone system from Amazon. This phone system includes a panasonic hub that I plug into my ooma hub, then three wireless handsets I can place anywhere in the house, so they communicate back to the hub. My fourth phone is just one of my old phones I already had, which is now plugged into my scout. Yes, I could have instead bought 4 scouts, but for $67 it was cheaper for me to buy the Panasonic phone system. Yes of course you can plug the hub into your wall port. Yes, all the phone jacks will work. I have NO phone in my hub, I simply have the hub plugged into the wall jack in that room. I have Panasonic cordless phones. My base is plugged into the wall jack of my family room. I have my answer machine on the Panasonic set to answer at 4 rings and the hub to answer at 6 rings. I do not use Scouts. My understanding is that no, the only phones that will work are those attached to the ooma hub or scout. You can easily feed the entire house (or even outbuildings, if wired properly) by using the "phone" port on either the hub or the new Telo. Unless you need the additional access to a second line that the scout provides or want to use it for easy voicemail access, it is not required. You need to make sure you feed the dialtone on a clean pair - and not where the DSL is carried. The good thing about having your house already wired for landline though, is that you can plug your scout(s) into any landline phone port(s) in the house, and then you can attach a phone to that scout. Only true if you separate the DSL from your scout wiring. DSL interferes with the HPNA protocal that the hub and scout use to communicate. Then again, with 4 scouts, I think not only would you get the connections for 4 phones, but I think you get the ability to have 4 different phone conversations going on at the same time (might require premier service though). Totally incorrect. You can have at most two conversations taking place at any time. You can have 4 numbers if you like, but the hardware only allows two simultaneous conversations. Then the only appropriate thing to say is, "Welcome to ooma and to the forums! You will find a lot of great people here who can offer all sorts of support. And don't be a stranger because soon you will become one of those answering posts and giving great advice!"